In this Business English lesson plan for adults, students watch a video about tips for small talk. It includes discussion questions and conversation activities about small talk. Students learn some important vocabulary terms related to these topics. Students also do some activities using the important expressions and phrases they learned from the video. For grammar, students do an activity on making questions. In the cooperation activity, students can do an example role play dialogue of a small-talk conversation using images. 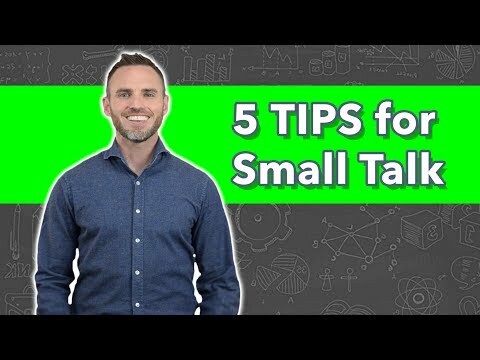 Michael Shehane from Lighthouse Communication's shares 5 great tips to help you develop your small talk skills and make connections. In this Business English lesson plan for adults, students watch a video about business lunch etiquette. It includes discussion questions and conversation activities about eating out for business. Students learn some important vocabulary terms related to these topics. Students also do some activities using the important vocabulary terms from the video. For grammar, students do an activity on prepositions of place and movement. In the cooperation activity, students can do two role play dialogues - with a restaurant staff and small talk with a business contact. If you're meeting an important business client, partner, or boss for lunch, Miss S. Grace helps you out with some tips and pointers to make you look professional. 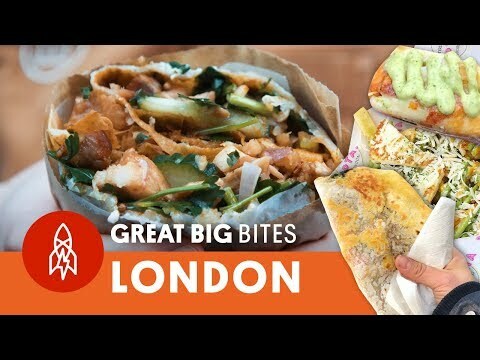 In this ESL lesson plan for adults and teens, students watch a video about street food in London. It includes discussion questions and conversation activities about making food, London, and street food. Students learn some important vocabulary terms related to these topics. In the cooperation activity, students can create their own street food concept and talk about how to make a signature dish. Explore and discover the best spots in London for street food across a variety of different cultures. In this ESL lesson plan for adults and teens, students watch a video about a man who checks out a frog street food stand in Singapore. It includes discussion questions and conversation activities about Asian food, street food, and unique cultural foods. Students learn some important vocabulary terms related to these topics. For grammar, students do an activity on past simple and present perfect. In the cooperation activity, students can create a food stand concept, write a review, or do a writing exercise. 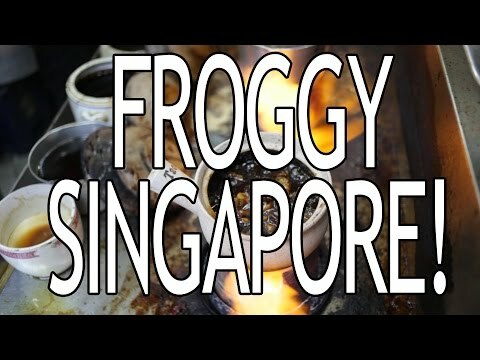 The 'Food Ranger' checks out a street food stand in downtown Singapore that sells frog dishes! Would you try frog after watching him describe his mind-blowing experience? 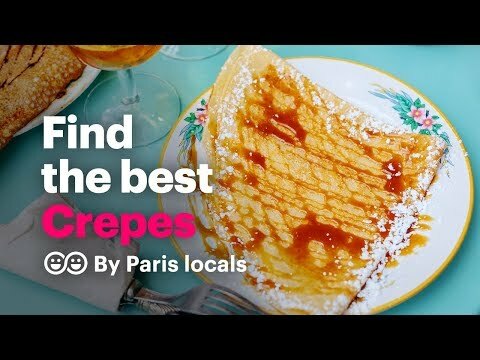 In this ESL lesson plan for adults and teens, students watch a video about the best crepes in Paris. It includes discussion questions and conversation activities about sweet foods, Paris, and crepes. Students learn some important vocabulary terms related to these topics. For grammar, students do an activity on prepositions of place and movement. In the cooperation activity, students can have fun creating a menu, asking for recommendations, or practice writing. Find out where the best spots are in Paris for eating true French-style crepes! In this ESL lesson plan for adults and teens, students watch a video about the top places to travel in Chile. It includes discussion questions and conversation activities about the city where you live, making recommendations, and the outdoors. Students learn some important vocabulary terms related to these topics. For grammar, students do an activity on definite and indefinite articles. In the cooperation activity, students can recommend things to do when traveling. It includes a bonus activity where students can give directions. 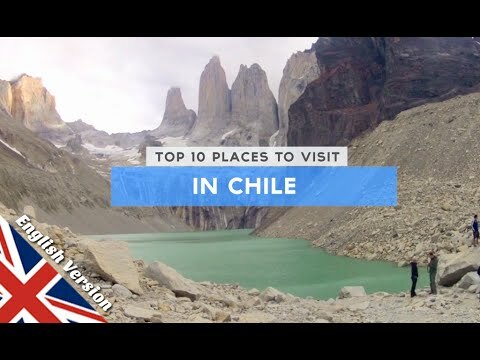 Steve shows you the main hghlights of Chile and all of the outdoor wonder you can experience if you're ever lucky enough to go backpacking through the country. In this ESL lesson plan for adults and teens, students watch a video about the top travel destinations this year. It includes discussion questions and conversation activities about traveling, free time, making recommendations, and vacations. Students learn some important vocabulary terms related to these topics. For grammar, students do an activity on have + got + noun and have + got + infinitive. In the cooperation activity, students can create a dialogue conversation about travel. 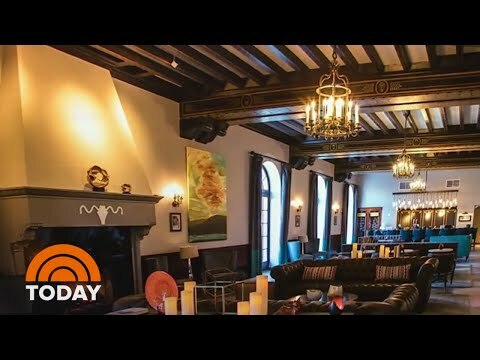 This news report dives into some of the top travel destinations for this year, showing all of the great recommendations you can check out in several locations in the USA and one in Europe. Get some hotel recommendations on top of it. In this ESL lesson plan for adults and teens, students watch a video about Airbnb Experiences in New York City. It includes discussion questions and conversation activities about traveling, Airbnb, hosts, guests, and New York City. Students learn some important vocabulary terms related to these topics. For grammar, students do an activity on the passive voice. In the cooperation activity, students can create an Airbnb 'Experiences' ad and write an inquiry to an Airbnb host. 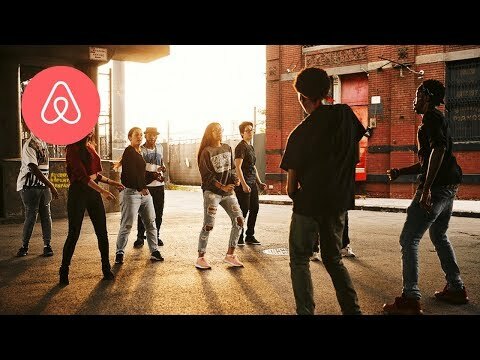 Explore some of the unique experiences you can take part in on Airbnb and what kind of opportunities you can have to to experience NYC with the locals. 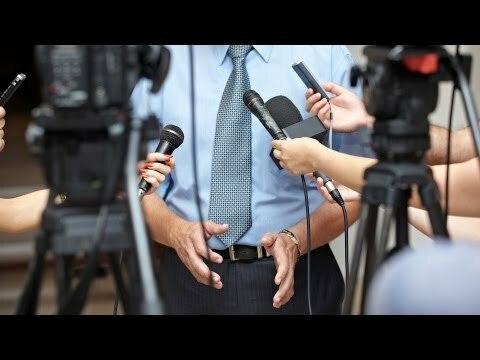 In this Business English lesson plan for adults, students watch a video about how to handle questions from an audience. It includes discussion questions and conversation activities about taking questions as a presenter. Students learn some important vocabulary terms related to these topics. For grammar, students do an activity on past modal verbs. In the cooperation activity, students write about problems, present them, and ask questions. Howcast explains how to handle questions from the audience. His number one tip - don't panic and listen carefully. Taking audience questions is actually a good thing rather than a scary thing! 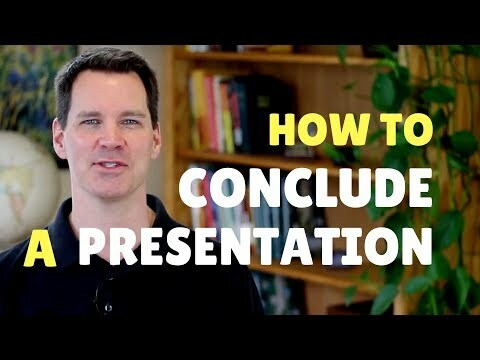 In this Business English lesson plan for adults, students watch a video about how to end a presentation. It includes discussion questions and conversation activities about concluding a presentation. Students learn some important vocabulary terms related to these topics. For grammar, students do an activity on modal verbs. In the cooperation activity, students write and present the end of a motivational speech. Communications coach Alex Lyons gives you four clear tips to end your professional presentation like a star. 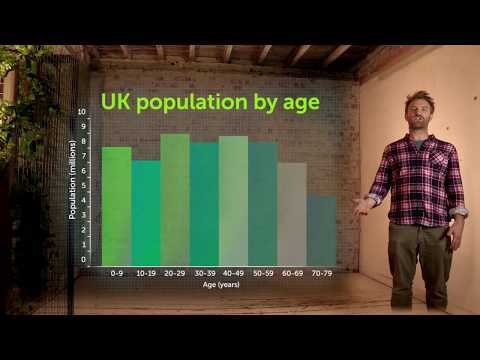 In this Business English lesson plan for adults, students watch a video about different kinds of graphs and examples of what kind of data they present. It includes discussion questions and conversation activities about describing and explaining graphs. Students learn some important vocabulary terms related to these topics. For grammar, students do an activity on how to use tenses when explaining graphs. In the cooperation activity, students create a graph and describe it. Sometimes it feels like we are under attack from numbers, and this video shows you how you can transform these numbers into something useful with the help of graphs. Learn about which graphs are best to use with different kinds of data. While you may have never thought that graphs could be exciting, this man will prove you wrong! In this Business English lesson plan for adults, students watch a video about how to calm nerves before a presentation. It includes discussion questions and conversation activities about calming nerves and how to make welcome remarks. Students learn some important vocabulary terms related to these topics. For grammar, students do an activity on how to use even, even though, and even if. In the cooperation activity, students create a presentation on a 'How to...' topic. 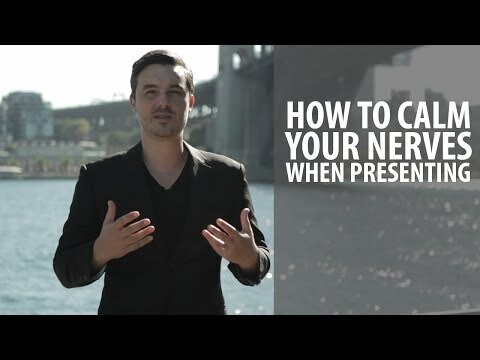 Colin Boyd shares three tips for you on how to speak in public calm your nerves before and during a speech or presentation. In this Business English lesson plan for adults, students watch a video about how to start a presentation. It includes discussion questions and conversation activities about presentations and how to start strongly. Students learn some important vocabulary terms related to these topics. For grammar, students do an activity on how to use 'going to' and 'will'. In the cooperation activity, students create a presentation introduction. How to start a presentation is one of the most important things your presentation needs to have. Starting with a good, engaging story is a strong way to open your presentation and connect with your audience. This tip explains why the cliche sentence "Today I'm going to talk to you about..." should be avoided and different ways you can find inspiration for a good story to tell your audience. In this Business English lesson plan for adults, students watch a video of a sample customer service call for placing an order. It includes discussion questions and conversation activities about exchanging information, spelling emails, and customer service. Students learn some important vocabulary terms related to this topic. For grammar, students do an activity on modal verbs for polite requests. In the cooperation activity, students do a customer service call role play. A customer calls a florist's customer call center, and places an order for a dozen roses with an agent. They exchange information and ask questions about the order. In this Business English lesson plan for adults, students watch a video about how to leave a voicemail and then hear a sample sales voicemail. It includes discussion questions and conversation activities about voicemail greetings and leaving voicemails. Students learn some important vocabulary terms related to this topic. For grammar, students do an activity on prepositions. In the cooperation activity, students do a role play for leaving a voicemail and creating a voicemail greeting. 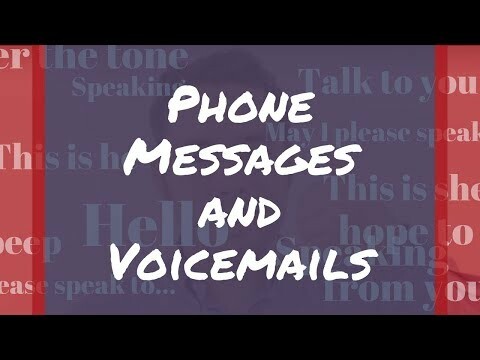 An English teacher explains what a typical voicemail greeting sounds like, as well as some tips on how to leave a professional voicemail.